I am STOKED about this marketing tool for my business! I love it and I want to make sure everyone knows about it. So let me ask you, what does everyone woman carry in her purse-besides a pen? CHAPSTICK!! 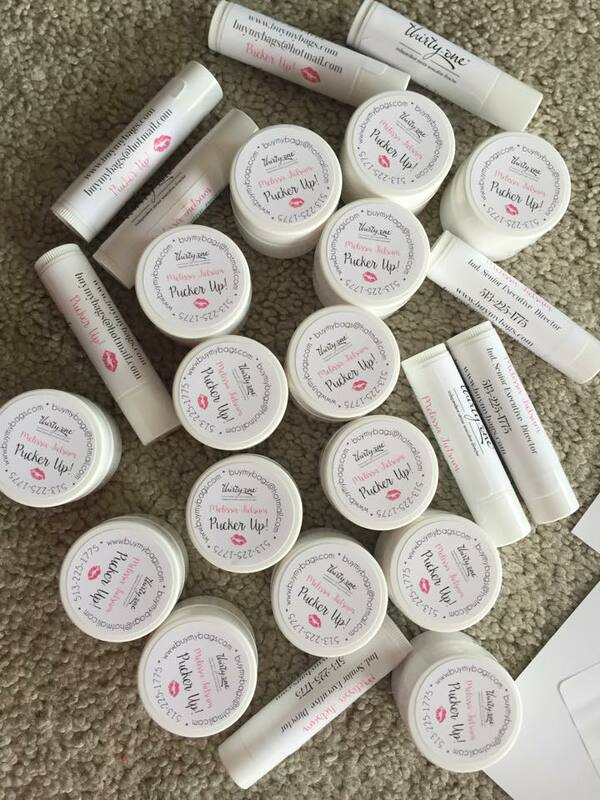 I have found a website that is super affordable to buy lip balms that are blank on the outside. And then you can also buy the labels for them and print your own labels with your business information! That is TEN TIMES better than a business card! Cause no sane woman would ever throw away a lip balm, right?! I bought pens and used them for years. But I like to be different. And this is definitely right up my alley!! Now WHAT are you going to do with these? 5. Give them to your friends and family so THEY always have your business information on them! They may have your regular information…but would they know your BUSINESS information? I think I’ll give my mom some extras to hand out FOR ME! 6. Use these at your parties for prizes and giveaways. Everyone loves lip balm! And that is SO cheap for a giveaway! Heck, it’s so cheap that you could give EVERYONE at your home party at checkout! 8. Great for Nurses and Teachers week!! Pass out mini grab bags. Or any type of swag bags you were asked to donate. 9. What about Halloween?! You could make little bags for the moms! 10. How about Christmas gifts to all your hostesses for the year? Keep your information in front of them!! 11. These would be great to pass out at your kids ball games. “Hey anybody need some chapstick? I just got these in and I love them”. Oh, yeah…sly as a fox…LOL!!!! The most important thing in your Direct Sales business is to STAND OUT in the sea of consultants in your area. It doesn’t matter how many consultants are in your area. If they’re not marketing their business in a FUN way, or not even marketing at all, people will choose to shop with YOU. And that’s a fact Jack 😉 I am constantly looking for ways to stand out. To reach new people. To make conversations easier and more fun. To get my information into more people’s hands in an effective way. So what are YOU doing? Now I’m not talented enough to make those cute little labels. So Kim, from Night Owl Custom Design on Facebook, made them for me! You can click the link below to order your own labels if you order these. They’re super affordable and totally worth it! Prev Cinchshare Announces Collections, a Post Sharing Feature! Next FREE Cinchshare Collections to Get you Started!